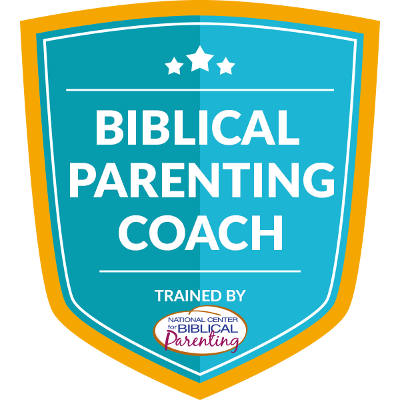 What is Biblical Parenting Coaching? When parents are struggling with a child at home they often feel like they've exhausted their ideas to bring about change. This leaves them feeling hopeless. When I meet with parents I teach them new skills, new strategies and help them craft a plan to address the heart issues they identify in their child. After the first meeting, parents have a renewed sense of hope. When they see changes in the first few weeks, they are motivated to continue working toward long-term solutions. The heart-based approach to parenting is biblical. When we join God in His work of heart change we see amazing results. We create the environment that God uses to bring change. The skills and strategies are real-life practical. Each week parents are given how-to solutions to everyday struggles. When kids practice doing the right thing, it changes negative patterns into positive ones. The focus is on the heart, where attitudes, behaviors and beliefs have their root. When the heart changes, so do the attitudes and behaviors that disrupt family life. The struggles in family life become opportunities to train kids in the skills they need for work, relationships and success. The focus is long-term, raising adults not children. Each week of the 8 week coaching program, parents meet with me in person or via phone/video. Each meeting includes updates on progress, learning a new skill or strategy and creating a custom plan to implement changes. Between meetings, parents practice those skills with their kids. Here are more complete details from the National Center for Biblical Parenting.